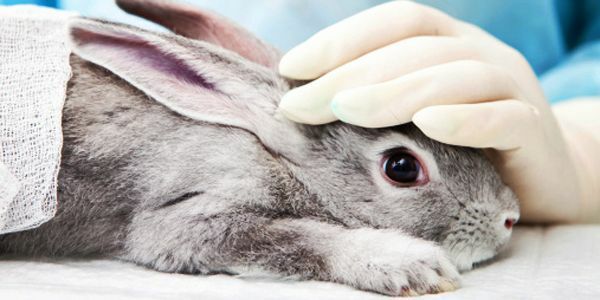 petition: Ban Animal Testing for Cosmetics Now! Ban Animal Testing for Cosmetics Now! Help push for the reintroduction and passage of landmark legislation that could end the suffering of millions of animals who are needlessly tortured and killed to test cosmetics in the U.S. The Humane Cosmetics Act, has been introduced with bipartisan support in the 113th and 114th Congress, but was never passed out of committee. It was introduced again, but has yet to make progress. The bill as written will make it illegal to conduct or commission animal testing for cosmetics after a one year phase in, which will be followed by a ban on the sale of products and ingredients that were made using animal testing after three years. Even though animal testing is not required by the Food and Drug Administration (FDA) or the Product Safety Commission in the U.S., and despite the fact that alternatives to animal testing exist, many companies continue to test their products and ingredients on animals. In fact, the FDA leaves it up to companies to substantiate the safety of their own products and recalls are left entirely up to manufacturers. Hundreds of ethical companies have already proven that valid alternatives exist, while dozens of other countries have taken steps to end animal testing for cosmetics. Now it's time for the U.S. to catch up and end this inhumane practice. Please sign the petition asking your representative to support and co-sponsor the Humane Cosmetics Act. As someone who cares about animal welfare, I am asking you to support the reintroduction of the Humane Cosmetics Act (H.R. 2858 from the 114th Congress) and hope you will support and co-sponsor this groundbreaking piece of legislation. For decades millions of animals have been used in cruel and wasteful experiments for nothing more than human vanity. However, advances in science have proven that there are alternatives available to test the safety of cosmetics hitting the market and thousands of ingredients have already been listed as safe. This legislation will make it illegal to conduct or commission animal testing for cosmetics after a one year phase in, which will be followed by a ban on the sale of products and ingredients that were made using animal testing after three years. While hundreds of ethical companies have already pledged not to test on animals, a number of other countries have also already taken steps to end animal testing for cosmetics proving that it's an unnecessary practice that belongs in the past, including Israel, Norway and India. Korea, Brazil and ASEAN are also taking steps to end cosmetics testing on animals. In June, China will end its mandatory animal testing requirement for imported cosmetics. The European Union's ban on the testing and marketing of animal-tested cosmetics and ingredient that was enacted in 2013 was a major milestone for animals in labs and further proof that testing is unnecessary. There's no reason for the U.S. to continue to lag so far behind on this issue. With global markets closing their doors to products that have been tested on animals, a move by the U.S. to ban animal testing for cosmetics would not only be an ethically sound one, but will also allow the U.S. to continue to compete in these markets. I sincerely hope you will support and co-sponsor this critical piece of legislation to end the needless suffering of animals in labs and help the U.S. stay current in the global marketplace.